It has been previously well established that the use of dopaminergic agents in Parkinson’s disease may contribute to behavioral disturbances such as dopamine dysregulation syndrome (DDS), impulse control disorders (ICD), and punding. ICD and punding have been most commonly addressed by reducing dose or by discontinuing the use of a dopamine agonist. Treatment of DDS has proven more challenging, and to date there has been no standard approach. In this paper, we review a series of four patients who met criteria for DDS, who were all refractory to medication adjustments. The DDS symptoms responded by the addition of valproic acid in all cases. We would like to acknowledge the support of the National Parkinson Foundation Center of Excellence at the University of Florida. Ashok Sriram: Dr. Sriram has no conflict to report. Herbert E. Ward: Dr. Ward has no conflict to report; Dr. Ward participated as site PI on multiple clinical trials; Dr. Ward did not accept any personal industry honoraria. Anhar Hassan: Dr. Hassan no conflict to report; Dr. Hassan received honoraria from National Parkinson Foundation. Sanjay Iyer: Dr. Iyer has no conflict to report. Kelly D. Foote: Dr. Foote receives no honoraria or personal remuneration from any industry source. His research is funded by NIH and multiple foundation sources; DBS devices for Dr. Foote's research have been provided by Medtronic and Neuropace; Dr. Foote participates as a site in multicenter DBS-related research studies sponsored by St. Jude and Boston Scientific; The University of Florida receives partial funding for Dr. Foote's functional neurosurgery fellowship from Medtronic. Ramon L Rodriguez: Grants/Research Support: Dr. Rodriguez has received research support from Abbott, Biotie Therapeutics, EMD-Serono, Huntington Study Group, Ipsen, Merz Pharmaceuticals, Allergan, National Parkinson Foundation, NIH/NINDS, Teva, but has no owner interest in any pharmaceutical company; Honoraria: Over the last 12 months, Dr. Rodriguez has received honoraria from PeerView Institute for Medical Education, PRIME CME, Corporate Meeting Solutions, Merz Pharmaceuticals; Royalty: None; Speaker Bureaus: None; Contractual Services: The University of Florida Clinic has contracts with Allergan for education services provided by Dr. Rodriguez, but he does not receive any personal compensation for these roles. Nikolaus R. McFarland: Dr. McFarland has no conflicts to report; Dr. McFarland has received research grants from NIH and the Michael J. Fox Foundation, but no receives no industry support. He has also participated in CME activities on movement disorders sponsored by the USF CME office. Michael S. Okun: Dr. Okun serves as a consultant for the National Parkinson Foundation, and has received research grants from NIH, NPF, the Michael J. 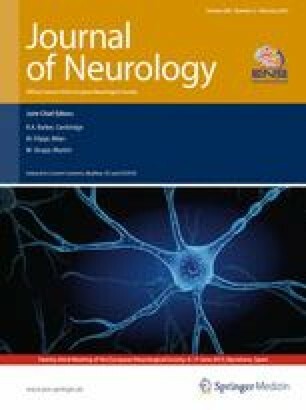 Fox Foundation, the Parkinson Alliance, Smallwood Foundation, and the UF Foundation; Dr. Okun has previously received honoraria, but in the past >36 months has received no support from industry including travel; Dr. Okun has received royalties for publications with Demos, Manson, and Cambridge (movement disorders books); Dr. Okun has participated in CME activities on movement disorders sponsored by the USF CME office, PeerView, and by Vanderbilt University. The institution and not Dr. Okun receives grants from Medtronic and ANS/St. Jude, and the PI has no financial interest in these grants; Dr. Okun has participated as a site PI and/or co-I for several NIH, foundation, and industry sponsored trials over the years but has not received honoraria. All human studies must state that they have been approved by the appropriate ethics committee and have therefore been performed in accordance with the ethical standards laid down in the 1964 Declaration of Helsinki.